Oh, hello gorgeous! Nice to see you! 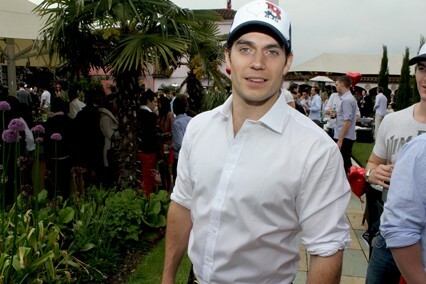 According to Vogue UK, Henry attended past Saturday the Lovebrunch, in London. Held at The Roof Gardens in Kensington, it combined the laid-back atmosphere of a daylight gathering with great music, barbecue delicacies and a host of cocktails to put guests in the party mood. And it seems Vogue wasn’t the only one enamoured with the afternoon’s delights – we spotted Brit actor and soon-to-be Superman Henry Cavill also in attendance.